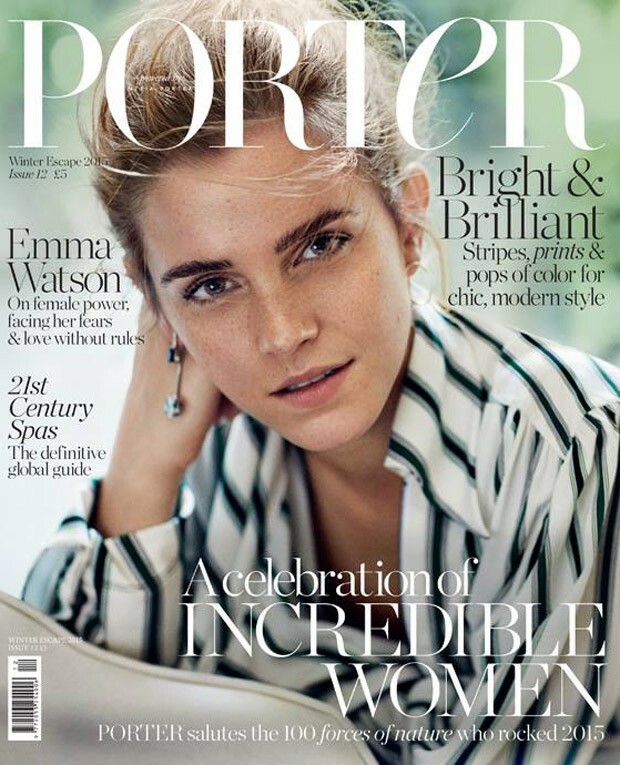 British actress and UN Representative Emma Watson is seen as the cover girl of Porter Magazine's Winter Escape 2015 issue. The 25 year old, who shot to fame with the Harry Potter series, is bare faced and elegant for the cover, clad in a striped monochrome top with long dangling drop earrings. With her freckled face up close, eyebrows statement, and lips bare, Emma is stylish in the image lensed by Cass Bird.